We have opened a branch office in Matamata at 8 Tainui Street, opposite Farmers.  With an established team of business and rural legal specialists as well as other lawyers practicing in all aspects of law, we have been catering to clients in the greater Waikato area since the early 1980s. Senior partner Owen Cooney describes the new office as a logical step for the firm. “Our client base in the region has been growing for some time and it made perfect sense to establish a permanent base in Matamata. It’s now easier for our local clients to connect with us. We are totally committed to providing legal services to all sectors of Matamata and the Waikato, and we are delighted to now be permanently based in Matamata. We are also pleased to confirm that Robin Jones has accepted an invitation to join us as a Consultant based out of the new Matamata office. Robin and wife Rosalie have lived in Matamata for the past 45 years, and have always enjoyed being part of a thriving town with a strong sense of community. Robin operated a sole practice before being in a partnership in Matamata, and for the past two years has been employed by his former partners in the firm Jones Howden. “Having lived and worked in Matamata for 45 years and having been very active in all aspects of the community, I’m really looking forward to assisting Cooney’s to set up their office in Matamata to service Matamata and the Waikato.